5th Sunday - Downton Churches Together united service. See below or in the Parish Magazine for details of these services. We invite you to join us for coffee and biscuits after the 10am services. On 3rd Sundays coffee is served before the service, from 9.45am, as well as after the service. There will be a Holy Communion service held every Sunday in at least one church in the Team. If you would like Communion in your own home please contact the Team Rector, Revd Frank Gimson, vicar@stlaurencedownton.co.uk or please complete our on-line contact form. 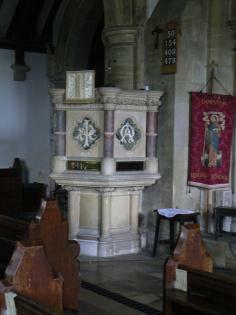 Our 8.00 am service is always *Holy Communion from the Book of Common Prayer (the traditional 1662 prayer book). It is a quiet service without music. 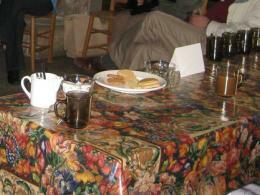 At 10.00 am on the third Sunday of the month we have an Cafe-style **Church for Everyone. This is informal, of special interest to families and takes place at the back of church. On the other Sundays of the month (except 5th Sundays) the 10.00 am service is either **Holy Communion, from Common Worship, or *** Morning Prayer. ** Holy Communion, known also as ‘The Eucharist’, ‘The Lord’s Supper’ or ‘Mass’ is a service of readings and prayers that lead up to a symbolic sharing of bread and wine in remembrance of Jesus’ Last Supper. In addition Holy Communion from Common Worship includes hymns and some sung responses. All services include a sermon or talk or other narrative lasting between 5 and 15 minutes. easy to follow service lasting about 45min. The form of the service follows Common Worship and includes hymns and a sermon. Only one Holy Communion service each Sunday at either 8am or 10am. Our church is open daily, during daylight hours, for private prayer. See our Roads to God page for more information.